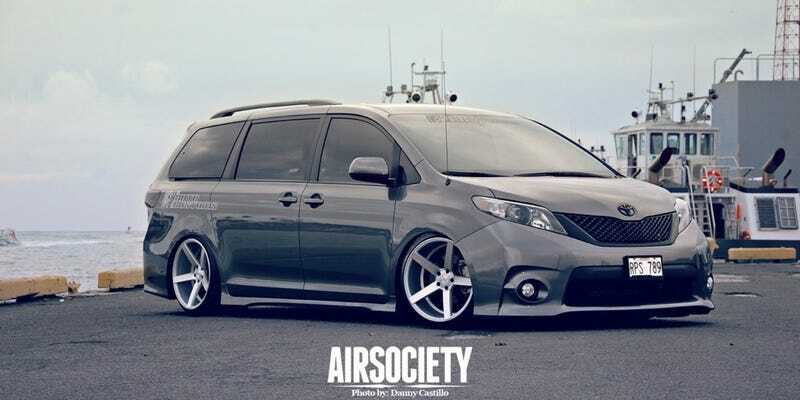 Yesterday I admitted that I’ll be buying a minivan. That particular example did not check out as represented. The paint, while original, was not in great shape, the tires were all much too small, and it had multiple fairly large oil leaks underhood. The AC took quite some time to get cold and it looks like there may a leak near the receiver drier, and the left automatic slider didn’t work (this isn’t the end of the world, but still...). It also had an almost imperceptible whine from the transmission that I suspect was in the differential because it correlated to road speed. Needless to say I passed, so I’m still looking for a good van. I’m willing to accept cosmetic flaws if the mechanicals are good, but this van just had too much of both because I don’t want to buy something I have to work on right away.